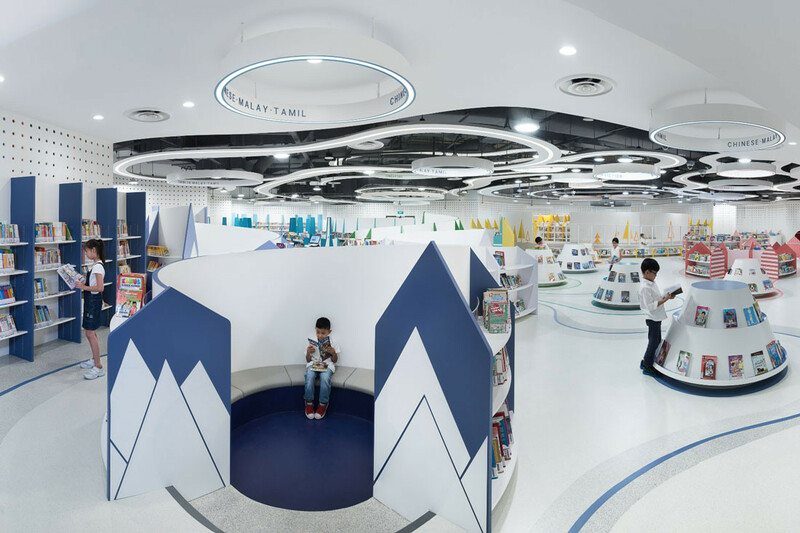 As the 2019 INDE.Awards entries get ready to close, we take a look back at a colourful and futuristic library refurbishment that received an Honourable Mention for The Learning Space at the 2018 INDE.Awards. Opened in April 1998, the Bukit Panjang Public Library is the fourteenth public library listed under Singapore’s National Library Board (NLB). 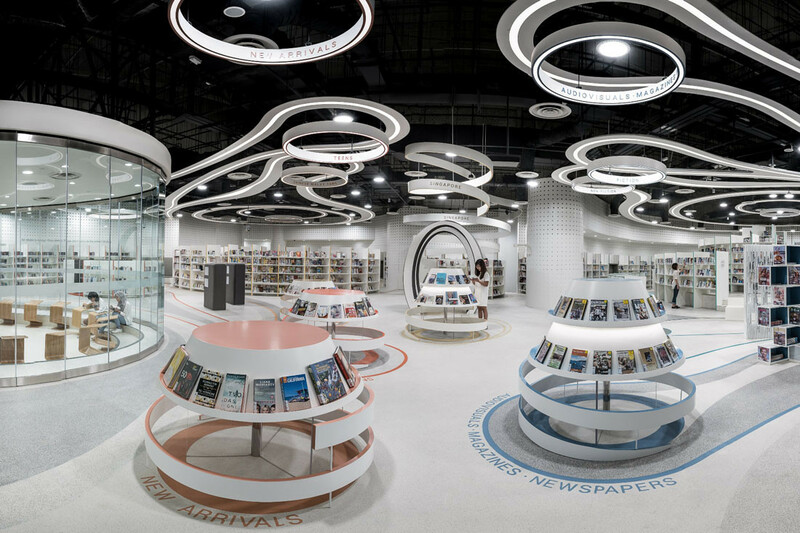 Located inside Bukit Panjang Plaza, it is only the fourth public library on the island that is located inside a shopping mall. It caters to the communities of Bukit Panjang, Bukit Timah and Teck Whye Estates. 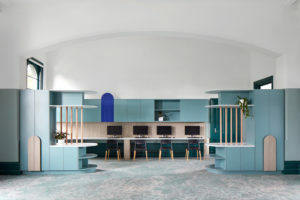 As the estates around it grew, the library underwent a renovation in 2009 to enlarge its footprint and implement technological improvements such as motion detectors and low-energy lighting. 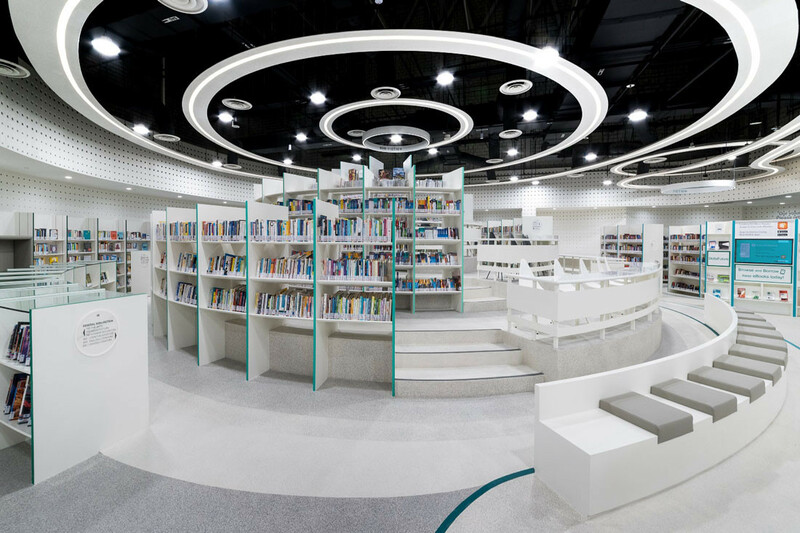 In 2016, as Bukit Panjang Plaza was being redeveloped to accommodate the (then upcoming) Bukit Panjang MRT Station, the library took the opportunity to undergo an even more extensive refurbishment. After a ten-month refurbishment period, the library was relaunched with much fanfare, and rightfully so. 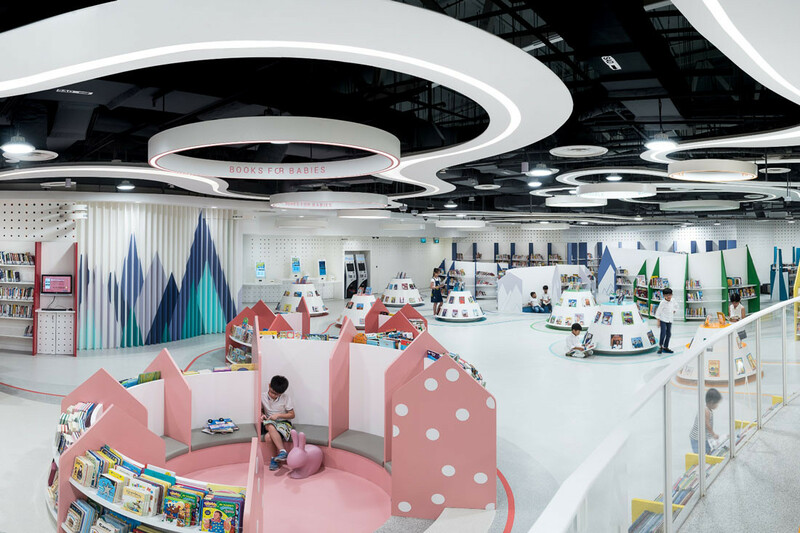 The new and photogenic library has increased in size by 85 per cent to 23,000 square feet, evenly split into two distinct wings that occupy facing units on the mall’s fourth level. The former area of the old library has been turned into an adult and teen zone while a dedicated children’s library occupies the opposite unit. Both areas also house facilities run by community volunteers who create programmes and hold events in the spaces. 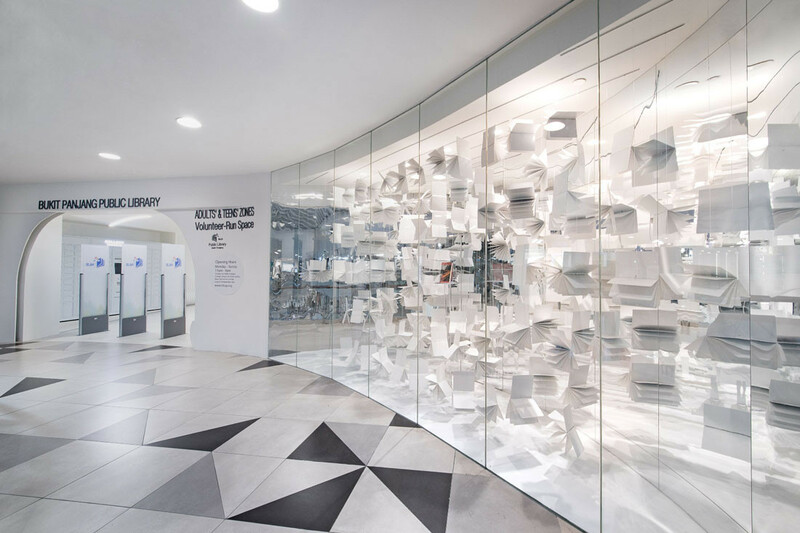 Commissioned to design the interior was design studio Grey Canopy. 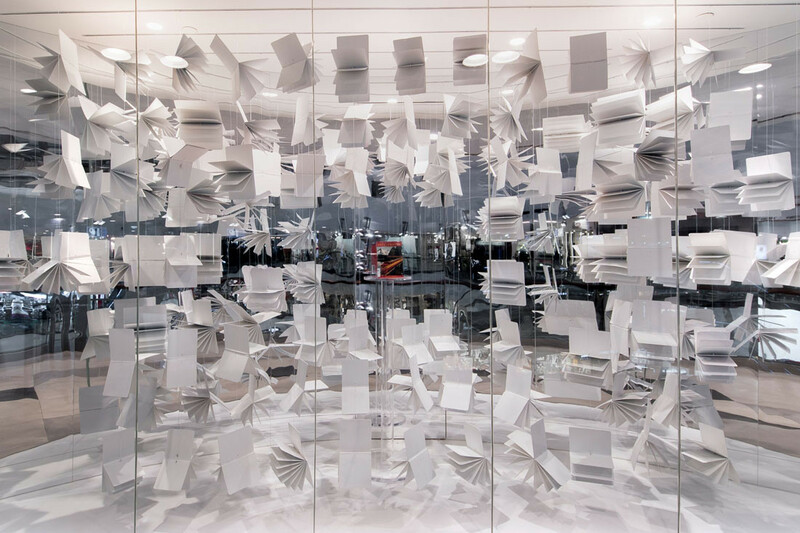 The concept of the interior spaces is a journey through landscapes filled with books. Grey Canopy developed a distinct visual language populated with organic shapes inspired by the mountains, forest, and wind that provides visitors both adult and little with a wide variety of reading spaces. 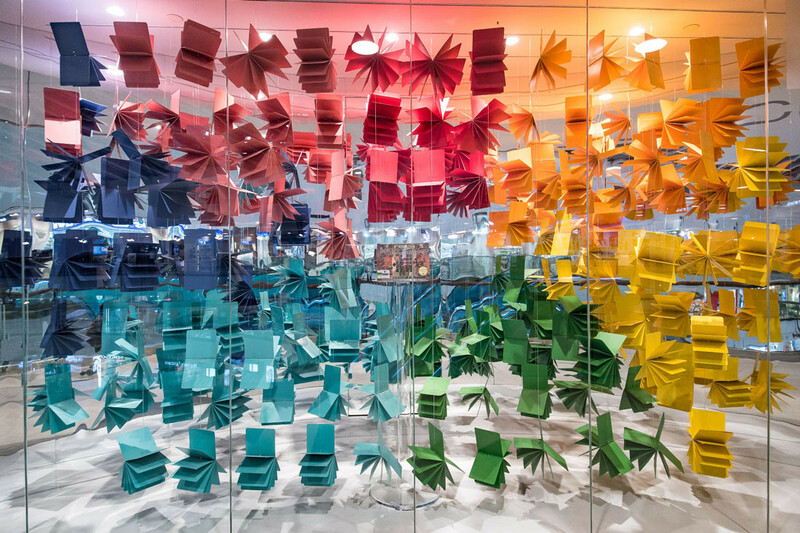 The façades of the two areas are each marked by installations that depict a flock of books (white for the adult and teen area, and rainbow-coloured for the children’s area) framing a book of the month, set against a mirrored backdrop. Inside the adult and teen library, visitors are received into ‘the forest’ – a 24-hour lobby for book reservation and book return services. The space also doubles as a meeting place for library users. 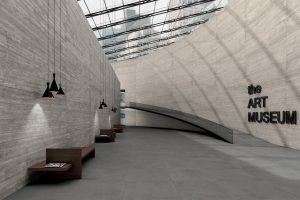 The lobby walls are fitted with curved timber slats as seats. When it was opened in 1998, this library was a prototype for NLB’s colour coding system. 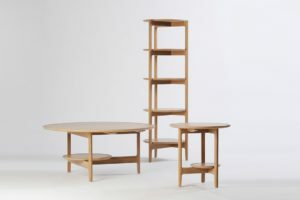 This system assigned a unique colour to each letter of the alphabet and digits 0 to 9, which greatly reduced the time for processing and sorting the books. Similarly, Grey Canopy has used colours as a means of wayfinding in the interior. 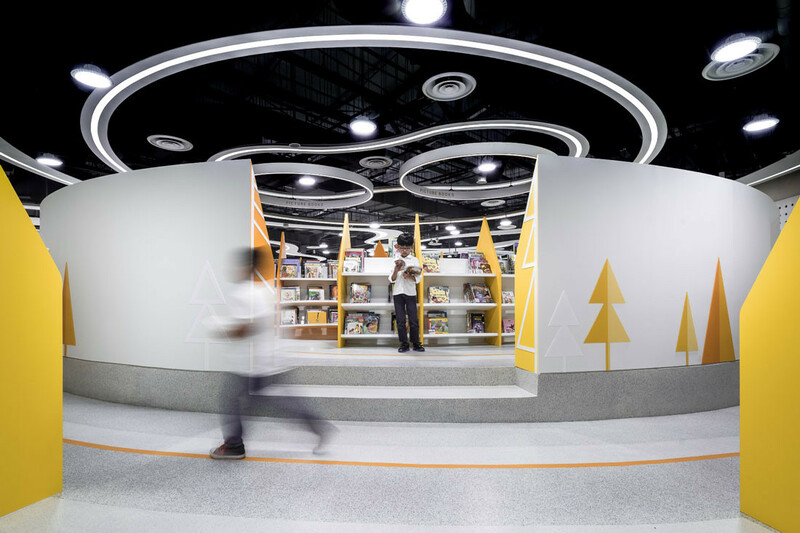 From the point of entry, swirls of colours on the floor, the ceiling and the custom-made bookshelves direct library goers to their destinations. 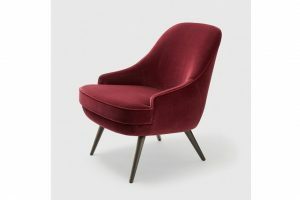 Inspired by the mountains and the swirling winds, the clustering plan is mostly circular in shape, with the negative spaces serving as cosy reading nooks. 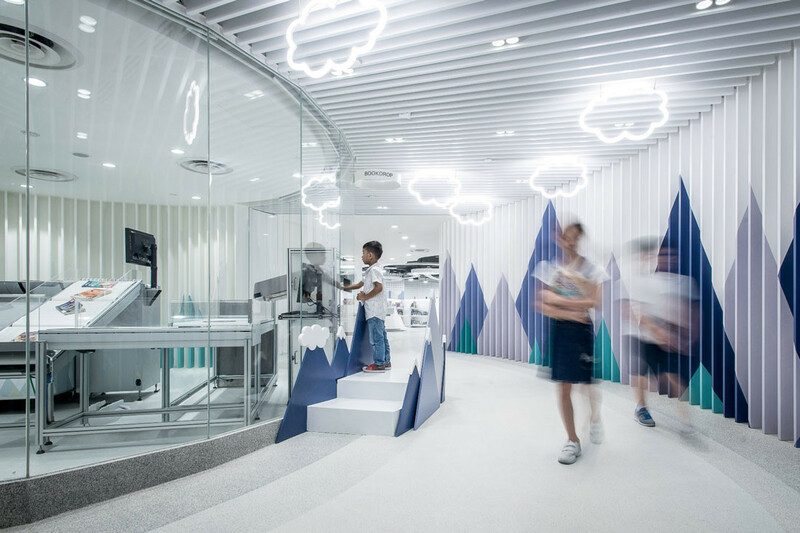 Inside the children’s wing, little library goers are received into ‘the woods’, a lobby where a huge sorting ‘monster’ – an automated book sorter – shows the young readers how the returned books are processed and sorted. 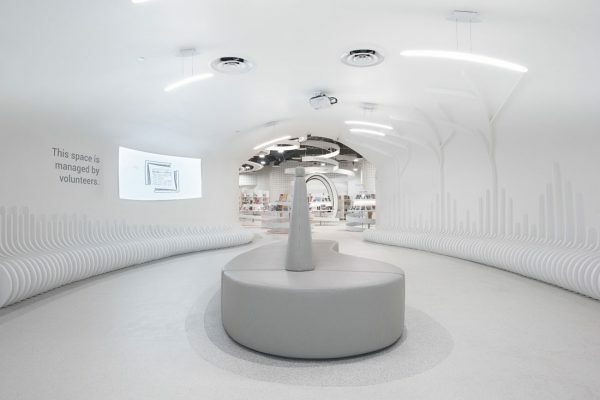 Grey Canopy uses the same colour-coded wayfinding strategy (with a notably more cheerful colour palette) to guide children and both enticing and encouraging them to explore the space independently. 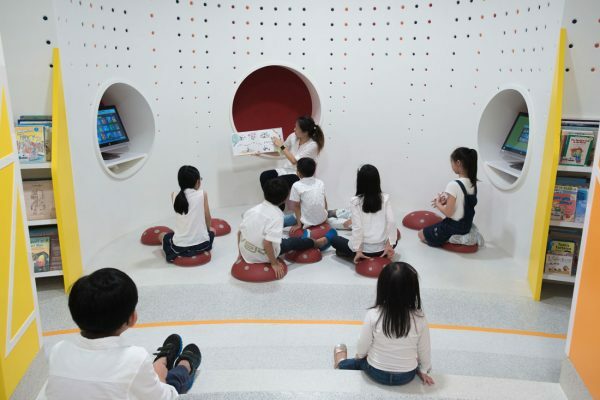 Leveraging on multimedia, the space also houses a multimedia storytelling room that uses images, light, and voice-activated sound effects to create an immersive storytelling experience for children. 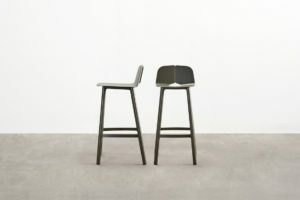 Photography by Andrew Phua Photos, courtesy of Grey Canopy. 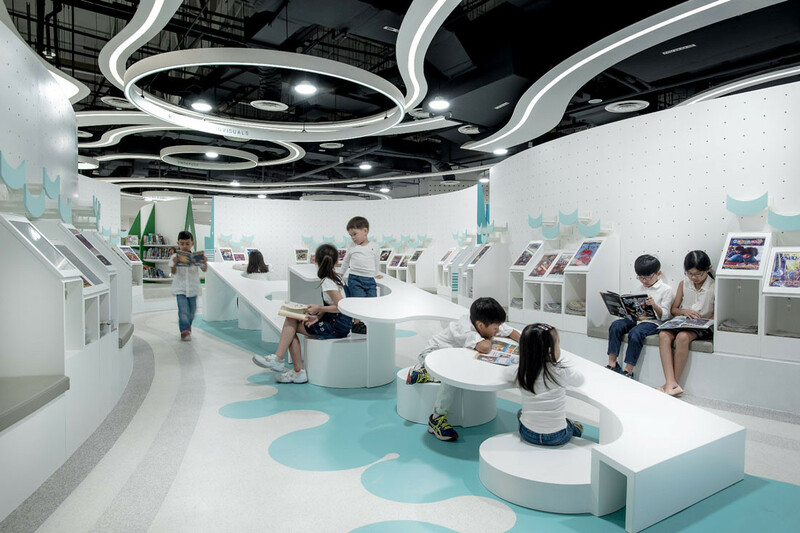 We’re calling for outstanding learning spaces for the 2019 INDE.Awards, but entries close soon! The Learning Space category is proudly supported by Living Edge.